Sergio Romano has made a habit of scoring early goals for Italy in Antwerp, to delight his biggest fan, father Stefano. UEFA.com meets the pair ahead of the semi-final with Portugal. Italy's last two games at UEFA Futsal EURO 2014 in Antwerp have had one thing in common: an early Sergio Romano goal setting them on their way to victory – to the delight of his biggest fan, dad Stefano. "He is an ultra," Romano Jr told UEFA.com. "He has great passion, I'm lucky because he has been following me since I was a kid, but I've never felt any kind of pressure from him. He never gives me technical or tactical advice but it's nice to have a chat and a coffee with him when we have a spare hour in these tournaments. He feels as excited as if he was playing himself." That Italy could prepare for a semi-final against Portugal on Thursday did not seem so likely when they lost their opener 3-2 to Slovenia. The Azzurri then had to beat Azerbaijan by two goals to qualify from Group C – yet the pressure was off once the 26-year-old Romano gave them the lead after one minute and 33 seconds, the match ending in a 7-0 win. And two days later it took just 46 seconds for the Pescara C/5 player to put Italy ahead in the 2-1 quarter-final victory against Croatia. "I'm not really used to scoring goals, it means I'm in a good spell of form," said the defender, who suffered a serious knee ligament injury last February but recovered in time to travel to Belgium. "I could not even imagine that I could reach this level of fitness, but I was hoping for it and worked hard to achieve it. I was counting the months until this tournament, I wanted to make it because I really care about the national team." Not only him. His father Stefano, who has stayed in a caravan in Belgium, rates victories well above his son's goal streak. "Results are more important for me because this group of players have been trying to win a trophy for a few years and they would deserve to do it," he said. "I'm a huge fan of my son but the team come first. I have followed many tournaments since he was a child. I have this great passion for Italy so I consider myself lucky and proud that my son is wearing the shirt." Distances are no problem for Stefano either, as proved at the 2012 FIFA Futsal World Cup. "He came to Thailand two years ago, so Belgium was just like a trip outside Rome," Sergio said. In Bangkok, Italy earned a famous 4-3 quarter-final success against Thursday's rivals Portugal after being down 3-0 at half-time, a turnaround father and son remember well. "I hope it will be different this time with Italy taking the lead because it was very hard to follow that game from the stands as a fan, it was too exciting," Stefano recalled, while his son added: "It's something you rarely see in a match that important. We were shocked after the first half but we made it." But how to win this time? "I never give advice, I just limit myself to following the team with all my heart," Stefano said. Romano Jr will certainly be giving everything – after all, he "will be here tomorrow but his dream may not". Portugal have never beaten Italy competitively, a stat Jorge Braz is confident of altering in the last four if his side "continue to be the same team" that has performed so well in Antwerp. Portugal have never been "as prepared as we are now" for a semi-final on Thursday against Italy, Leitão told UEFA.com as he looked forward to facing club-mate Stefano Mammarella. Spain and Russia meet once again in Thursday's semi-final with José Venancio López looking to replace banned Ortiz and Sergei Skorovich grateful for an extra day's rest. 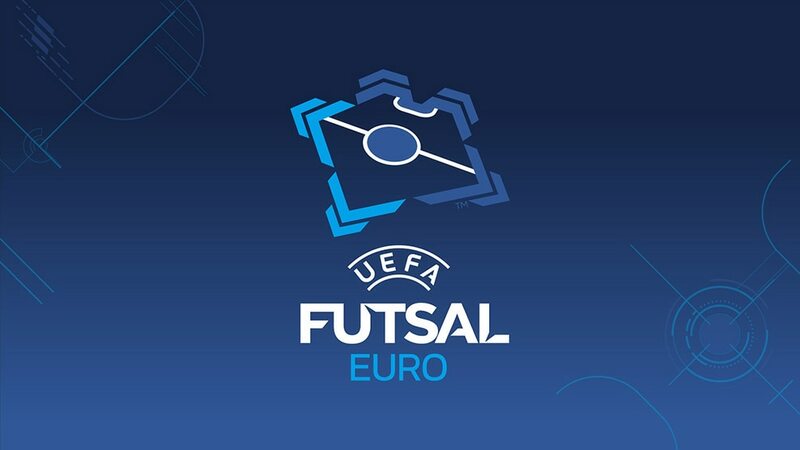 Russia's Eder Lima has what may be an unassailable lead in the race for the UEFA Futsal EURO 2014 adidas Golden Boot after a quarter-final hat-trick moved him on to seven goals.